For your consideration are FOUR (4) center caps off of a Liquid Metal Custom Wheel. This cap is in great shape. Extremely rare! This is a hard to find cap. NOTE: These are discontinued center caps that are in my wa rehouse ready to ship. For the center cap to fit your rim the part numbers have to match! They do NOT come with bolts for attachment. Thank you for your consideration. Diameter: Appx. 5" inches across the back of cap. 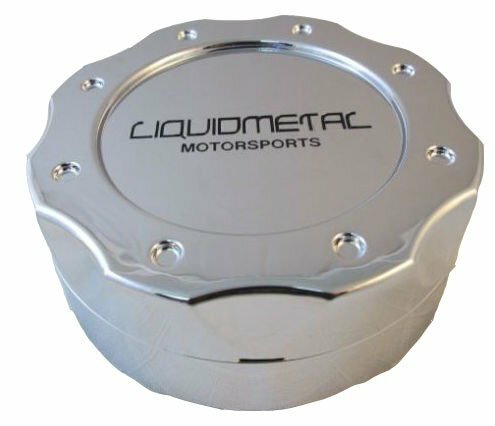 If you have any questions about this product by Liquid Metal, contact us by completing and submitting the form below. If you are looking for a specif part number, please include it with your message.